So, you’ve finished your novel; now the real work begins. Editing your writing and rewriting are the best insurance you have against your manuscript ending up in the reject pile. Experts agree that you should put your manuscript aside for a week or two and come back to it fresh. But simply rereading and running the spell checker on your work when you come back to it won’t be enough. You can’t edit everything in one read-through. Concentrate on a single objective and make several passes through your work. For example, pay attention solely to plot in the first read. Next, concentrate on grammar and spelling. On the third pass, run through all of your dialogue to make sure it’s natural and flows. Each pass should focus on a different aspect of your manuscript. One way to look at it is a macro versus a micro assessment. The macro assessment lets you look at characters and their evolution, your story arc, and your world building. 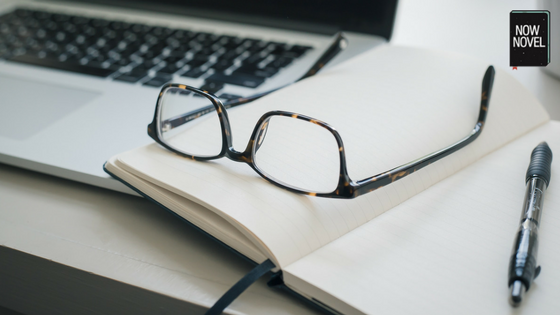 The micro assessment looks at technical gaffes like repeating words or phrases, using passive voice instead of active voice, and stylistic changes that need to be made. Use Google Translate to read your work back. Hearing your work read by Google presents it in a different way that lets you really focus on it. Don’t read along on the screen, though. You need to sit back, close your eyes, and really listen. You can stop audio playback when you reach a rough patch that needs work, take notes, and resume when you’re ready. You’ve lived with your manuscript for however long. If you haven’t put it aside for a few days at least, you’re too close to it to start finding flaws from the beginning. But if you start at the end and read towards the front, you’ll see your work in a new light. Once you’ve read from the end to the beginning, pick a paragraph out of the middle of your manuscript. How well does it connect to the paragraphs around it? Does it move the action forward? Do you repeat any ideas or words in it or the surrounding paragraphs? Now pick another paragraph somewhere else in the book and analyze it. Rinse and repeat until you’ve covered all paragraphs in your manuscript. 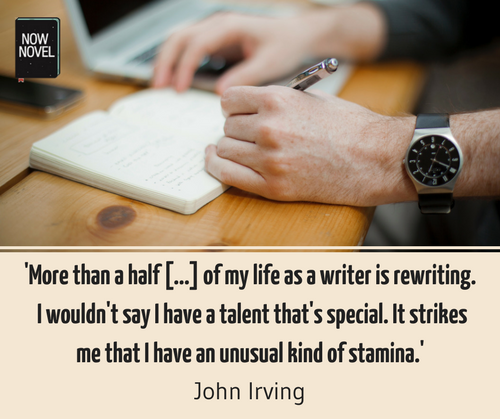 Seeing your manuscript in a different form will help you look at it with fresh eyes. With red pen in hand, look for patterns. Are you repeating words throughout? 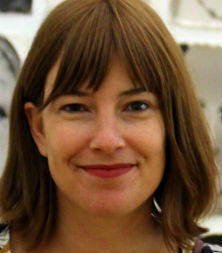 While repetition can be a unique literary device to make a point stand out, too much repetition dulls effect. Now change the font again and print out another copy. Read this one through with your trusty red pen and ruthlessly cut everything you possibly can. Don’t worry. You’re working on a paper copy; you still have your original on your computer. See if you can cut your manuscript to its bare bones while losing nothing essential. If you can cut it and your story doesn’t change in an essential way, it’s deadwood. Cut it! Jennifer ran quickly to the gymnasium and called her daughter’s name loudly. Jennifer sprinted to the gymnasium and shouted her daughter’s name. See how those strong verbs are much more emotive? An editing tool will highlight a range of stylistic issues: vague, abstract, and redundant words; clichés; awkward wording; overused or repeated words or phrases; sticky or over-complicated sentence constructions; and a host of other suggestions for improvement, saving you hours of reading and rereading. Then, you only need concentrate on any gaping plot holes, weak characterizations, or other glitches in your manuscript. It’s time to mix and match. Play with the chronology of your story. You don’t have to tell everything in the order it happens. Create suspense by withholding some information until later, or create depth by introducing a character earlier and showing their development. You might find, even after ruthlessly cutting in the previous step, you have scenes left that don’t fit anymore. You can save scenes that end up on the cutting room floor for another book, or if they no longer stir you, throw them away. Rewriting in a different point of view (POV) unleashes your creativity and helps you see how the original scene needs reworking. Or you might find the chapter resonates better coming from another POV. 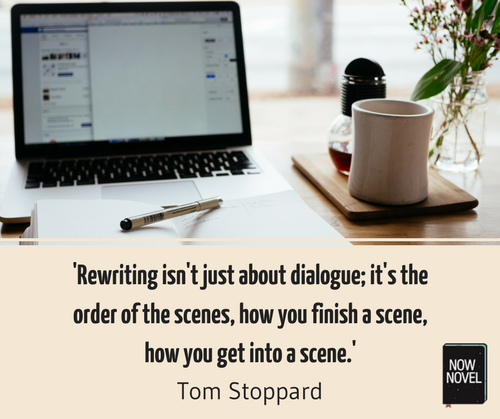 You can also rewrite a scene or chapter in a different tone. Take a romantic scene and give it a sinister tone. See how it changes your perception of the scene. Experiment with different angles for scenes; it will help you find additional creative paths for your story. Editing is hard work. And many writers can’t afford to hire a professional editor. Even if you can afford an editor (which is highly advisable), don’t waste his or her time finding simple edits you could have caught in the first place. You want your editor to focus on the bigger picture to help you make your manuscript the best it can be. Try the above suggestions to embrace self-editing. When you’re editing your writing better, you’ll learn to write better in the process. Need feedback to guide your revisions? Join Now Novel for helpful, constructive critiques from our diverse community of writers.